Shipwrecks around an isolated continent in the southern hemisphere were common. As an imperial settlement, many ships carried troops as well as convicts and goods. In the early colonial era India was a major trading partner. On the 20 June 1825, the three-masted Royal Charlotte was wrecked while sailing from Sydney through Queensland waters, carrying British troops and their families via Batavia to India. Survivors waited for six weeks on Observatory Cay, a small Coral Sea sandbank near the Fredrick Reef 450 km from the Queensland coast before they were rescued by the government brig Amity and taken to the just established Moreton Bay convict settlement. This was not the only shipwreck of India-bound troops in Queensland waters – in April 1841 the Ferguson’s passage to Madras with 170 soldiers of the 50th Regiment also ended in shipwreck on the outer edge of the Great Barrier Reef. The movement of soldiers to India through Queensland was a routine facet of military life in colonial times. British soldiers were stationed in Australia until 1870, and many regiments were posted from Britain to Australia and then on to India, often spending decades in the colonies. 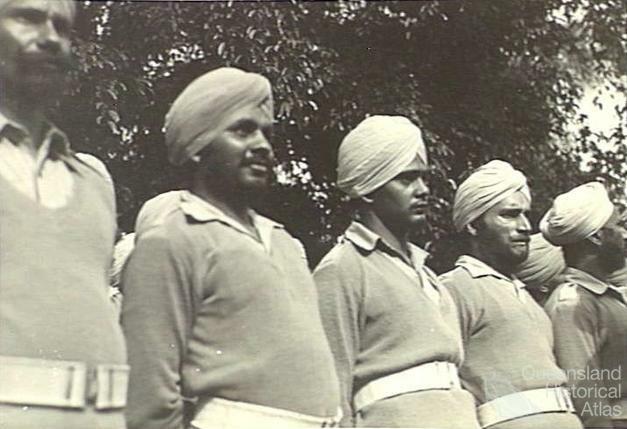 Other soldiers settled in Australia at the conclusion of their Indian service, seeking colonial opportunities from farmland to a home of their own, denied to them in Britain. They bought artefacts, ideas and experiences in a cross-fertilisation of colonial cultures. Soldiers and their families who lived in Queensland also travelled to and from India. Four of the British Army regiments with detachments at the Moreton Bay convict settlement subsequently travelled to India in the nineteenth century. Soldiers who had commanded the convict settlement often experienced different fates. While George Gravatt died in India in 1843, Sydney Cotton achieved Lieutenant-General's rank and a knighthood in a career that took him from Britain to India in 1810, to New South Wales in 1824, a return to India in 1825, to Queensland in 1837 and finally back to India after 1842. Both these soldiers are commemorated in Brisbane suburban nomenclature: Mt Gravatt and Mt Cotton. 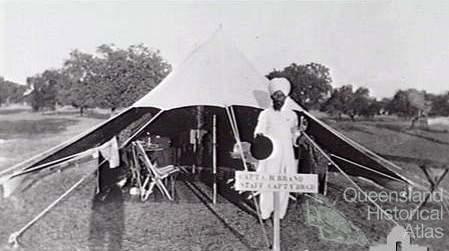 Queensland terrain was also traversed by those who had been soldiers in India in more humble circumstances. John Longstaff’s 1907 painting of Burke and Wills at the Dig Tree in 1861 emphasises the two leaders, but the only survivor of the expedition was John King, Irish-born, who travelled to India as a soldier in 1853 and fought in the Indian Rebellion. He was recruited to supervise the expedition’s Indian camel handlers, many of whose descendents became a feature of western Queensland life. King travelled through western Queensland from Cooper Creek to the Gulf of Carpentaria and back, and while we think of King as a participant in the history of settler exploration, he brought his experiences of living in India to Australia. Other soldiers of India made Queensland their home, including former Bengal Cavalry officer Robert Gray, who, after fighting in the Indian Rebellion of 1857-58 visited Australia on leave, and decided to settle in the Burdekin district. The future town of Hughenden developed on his former station, and the very title of his 1913 memoir Reminiscences of India and North Queensland is a telling reminder of the linkage his colonial experiences provide. Links between India and Australia became formalised after Federation. Soldiers went to British India for training at the Indian Army Staff College in Quetta. Young officers were also sent to India for real-world military experience following their graduation from the Royal Military Academy at Duntroon. Others were sent on exchanges, returning with rich experiences of an exotic and different world. 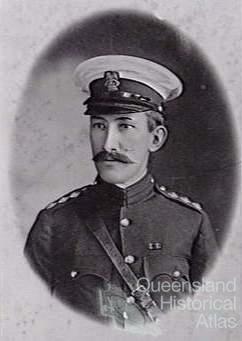 Ipswich born Charles Brand, educated in Bundaberg and Maryborough, balanced his teaching career with his duties as a part-time officer in the Queensland Volunteer Infantry before joining the newly established permanent forces of the Australian Army. Sent to Secunderabad in southern India for two years in 1910, he discovered a world far removed from the classrooms of Charters Towers. 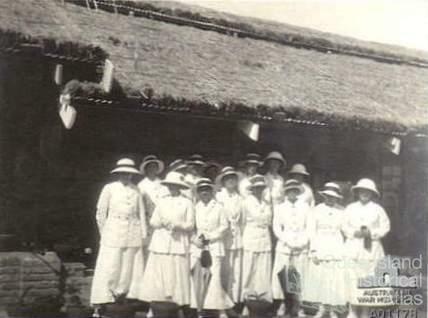 Queensland women served in India during World War I, including Rockhampton women Ethel Allchin, Marianne Dowling and Helen Lawson who worked as Australian military nurses in western India, where they cared for the sick and wounded of all races, both allied and enemy. The relationship with India included the families of soldiers. Roma-born Jessie Vasey (later founder of the War Widows Guild of Australia) attended Moreton Bay Girls High School before moving to Victoria and marriage to future General George Vasey. Her husband was posted to the Staff College in India in the late 1920s, and in 1934 was sent to India on exchange for four years. On both occasions Jessie Vasey accompanied him, experiencing the demanding life of the British Raj officer’s wife including interaction with the many servants deemed essential for such a position. While her husband was not engaged directly in active service, life in India could be challenging at a time when European officials were the victim of terrorist attacks and where the possibility of fighting on the North-West Frontier was an ever-present reality. Each of the Vasey’s two children experienced life in colonial India, a world far removed from the experiences of their Australian peers. 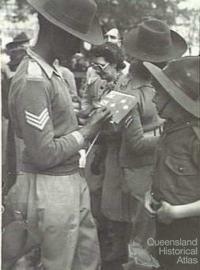 During World War II, the Australian military association with India became stronger. Queenslanders were among the thousands of Australians who garrisoned Ceylon (Sri Lanka) in 1942, flew as aircrew in India and Burma, and who trained the Indian army in jungle warfare. Brisbane born and Toowoomba educated William Parry-Okeden, a station manager and stock and station agent from the Darling Downs, fought in the Middle East and New Guinea before going to India in 1943 to instruct the British and Indian army on jungle warfare techniques. While he enjoyed his work there, he disagreed strongly with many aspects of the British imperial governance of India, and was appalled by colonial arrogance, government ineptitude and disparities between rich and poor. During World War II, the Japanese used allied prisoners of war, including Indians, as labourers. Some served in Papua New Guinea, and 6344 Indian prisoners of war were liberated by Australian forces. For many, rehabilitation at the ‘Little India’ developed at Grovely in Brisbane was the first step to recovery and repatriation to India. Together with the physical rehabilitation facilities at Grovely, the Agriculture Department set up a farm to demonstrate to the Indians how to cultivate using what were referred to in 1945 as ‘modern methods’. The links with India were specifically colonial exchanges, and as the empire declined, so did this relationship. 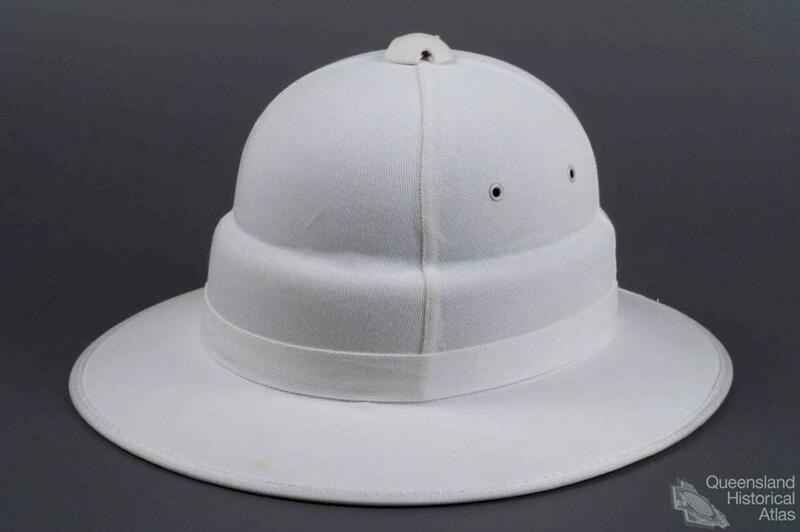 The military association between Australia and India ended in 1947 with Indian independence, and the bilateral relationship focused on cricket until India's economic rejuvenation in the 1990s. When we consider the shipwreck of the Royal Charlotte and the Dig Tree, these simple images recall the memory of a past history of intercolonial connections, and of the many links that existed between the subordinate elements of the British Empire.